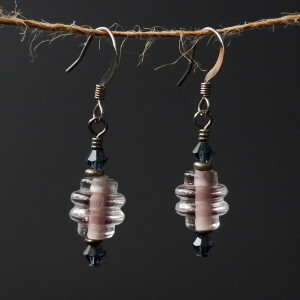 Look stunning for any occasion when you wear these stylish earrings. 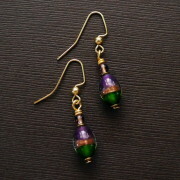 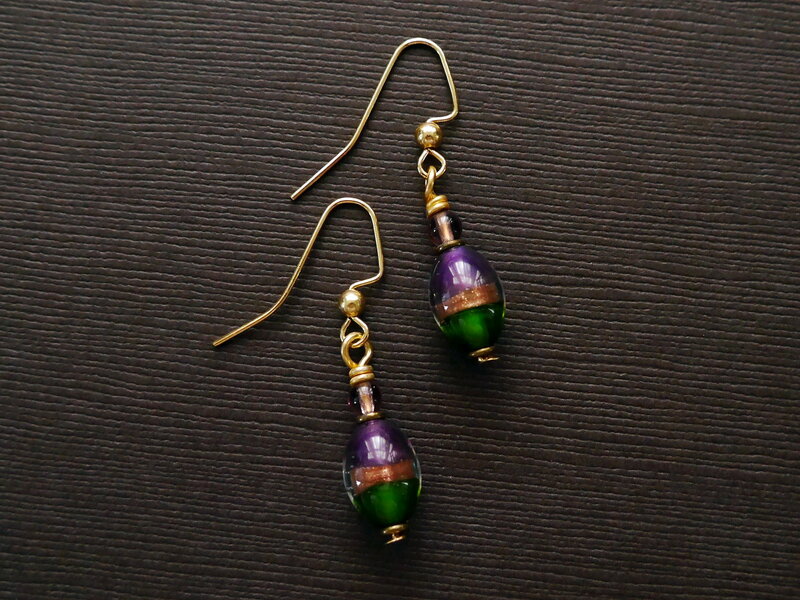 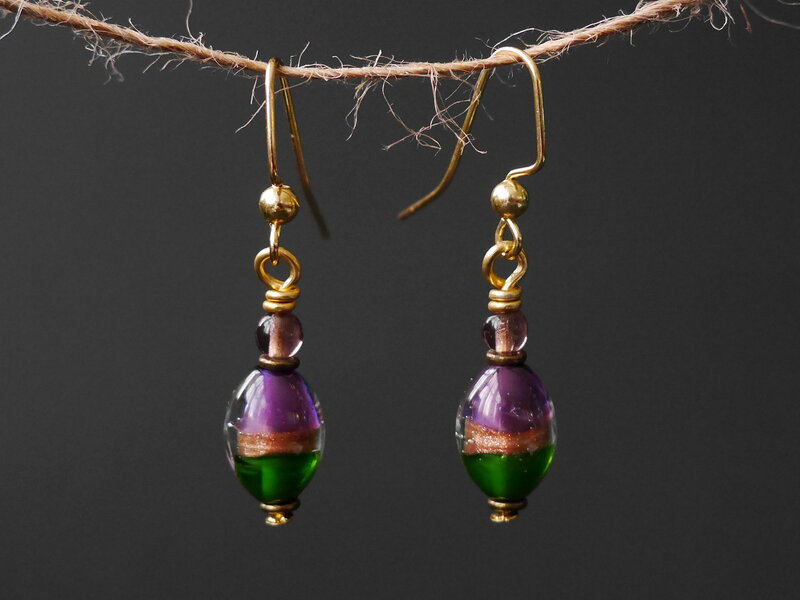 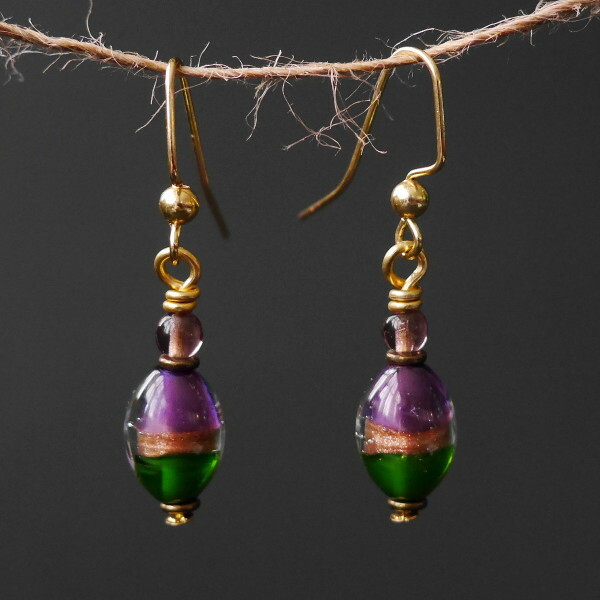 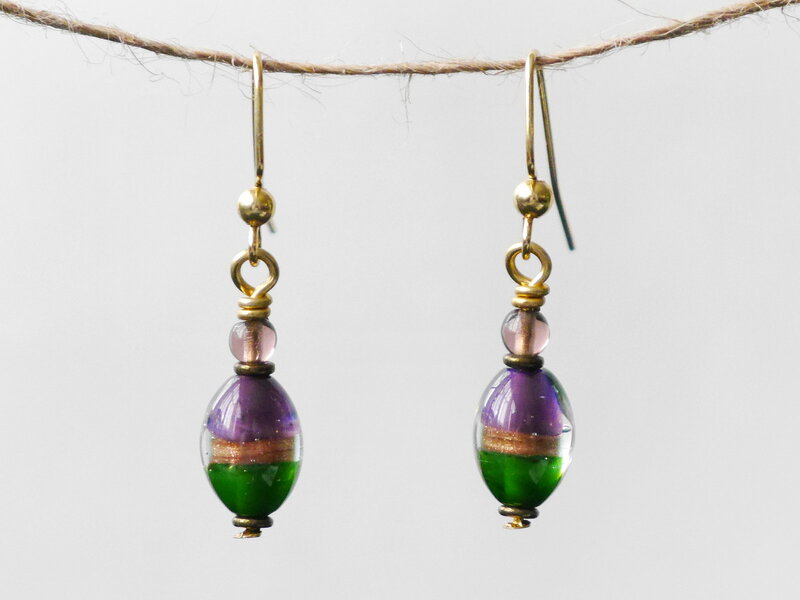 Purple and emerald with gold lampwork beads are the focus of these handcrafted earrings. 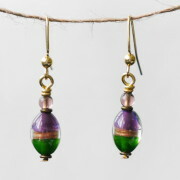 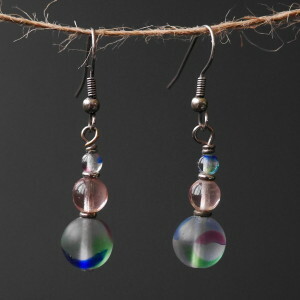 Light purple pressed Czech glass beads top off the earrings while gold colored findings and accents complete the look. 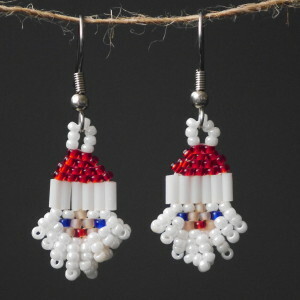 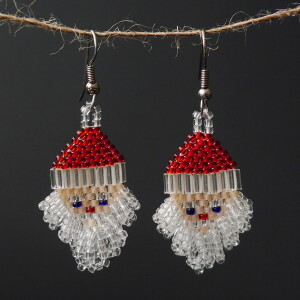 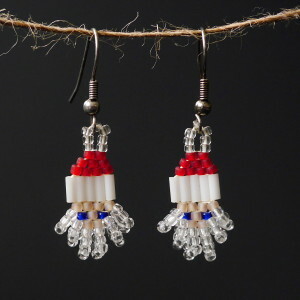 One of my all-time favorite beaded earring creations! 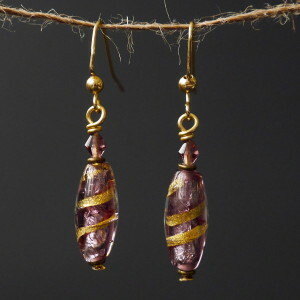 Earrings have a length of about 1 1/2″, including ear hooks.